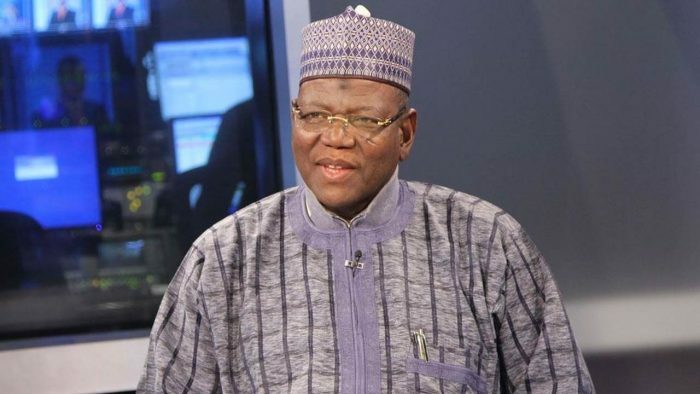 A presidential aspirant on the platform of the Peoples Democratic Party, PDP, Dr Sule Lamido has accused President Muhammadu Buhari of dehumanizing Nigerians like he did in 1983. He urged Nigerians to join hands with his party to rescue the country from the clutches of President Buhari and the All Progressives Congress, APC. The former Jigawa State governor said “For us to have a country which belongs to all Nigerians in a federation, we must have equal rights and opportunity. Every Nigerian has the right to access power whether from the North or South. “PDP made some mistakes. Some of its members were reckless but they are humans. Time will cure us because they are humans. Some us are calling Buhari’s name because we don’t have institutions. The economy is very weak, no security, no bureaucracy, and no standing institutions to protect all of us in terms of justice and fairness. One single human being is appropriating Nigeria as if it is his own. “Today, this party of saints called the APC is a party of pains, hunger, anger and evil and where are we today? It is a party which has no historical foundation, no philosophy, ideology. “Today, we are more divided as a people. There is more poverty in the country than it was in the past; more pains and agonies. APC has no history like the PDP. It is a mere political contraption. “Buhari and the APC have no vision, no human compassion and all they like doing is to inflict pains on Nigerians. They want to destroy people’s living standard to a level that they will all become perpetually poor. “Leadership is geared towards raising people, motivate and give hope and confidence. All those that makes APC government thick are former PDP members. “They are former governors, senators, ministers, ambassadors among others. The PDP you maligned is now the prominent members of the party and if you says we are thieves, then the government in Abuja is of evil people. “The former PDP members are the ones that produce the APC government in Abuja. Then how do we build a nation by maligning each other’s where there is no love, respect. Leadership is about that human feeling in you, the feeling of care and compassion. When you see poverty, you feel it. ← Davido Cancels Locked Up Tour Due To NYSC, Clarion Call!